Laluna’s Day Pass is the perfect way to do just that. 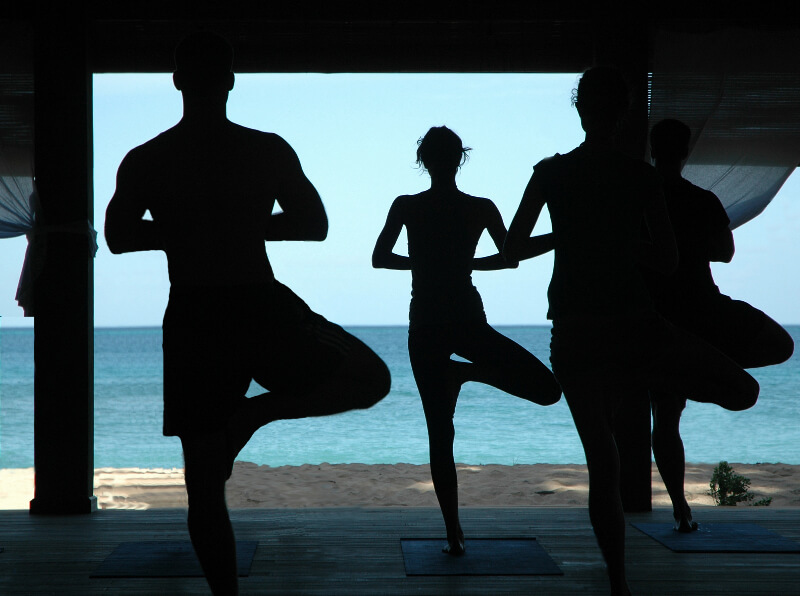 Start with a Yoga class, that will be the perfect way, to get mum to stretch and breathe in the fresh air, at our yoga pavilion on the beach. Depending on the actual day that Mum decides to come to spend her Day Pass, we have varying styles of yoga and pilates on different days. Check out our Yoga schedule for class times and style. Now what Mum needs, is to have someone work out all those knots, in her stretched out muscles. She will head over to the spa where Laluna’s Balinese therapists will welcome her to change into her bathrobe, she may shower off before-hand in the outdoor spa shower. Then with scented oils imported from Bali, she will be massaged into a deeper relaxation. Finish off the spa experience by sipping of fresh ginger tea, in the Tranquility Area of the Spa, watching the world go by. 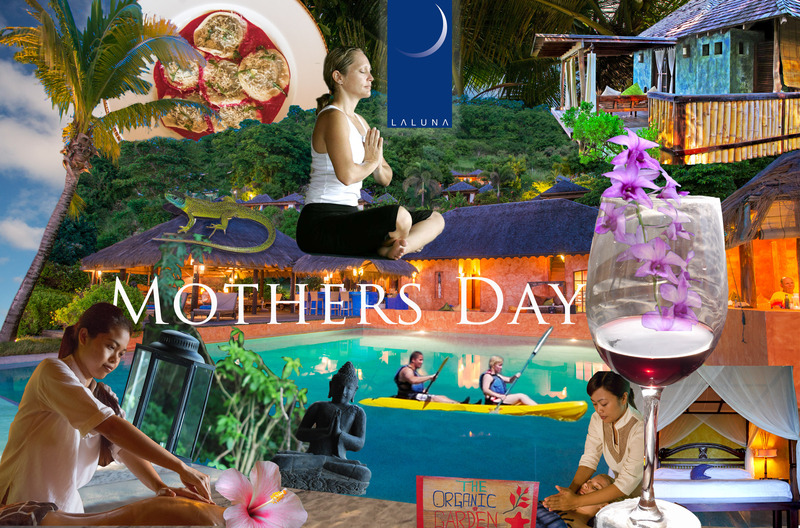 Once Mum is now a jelly full glass of bliss, time to have lunch with drinks at Laluna’s Italian restaurant. Pasta’s imported from Italy, may be off Mum’s diet, but it is her Mother’s Day celebration. For lighter fare, we have an assortment of great food served with fresh ingredients from our Organic Garden. Check out our restaurant menus to “wet your appetite”. Now it is time to lay back and really get into the relaxation mode. 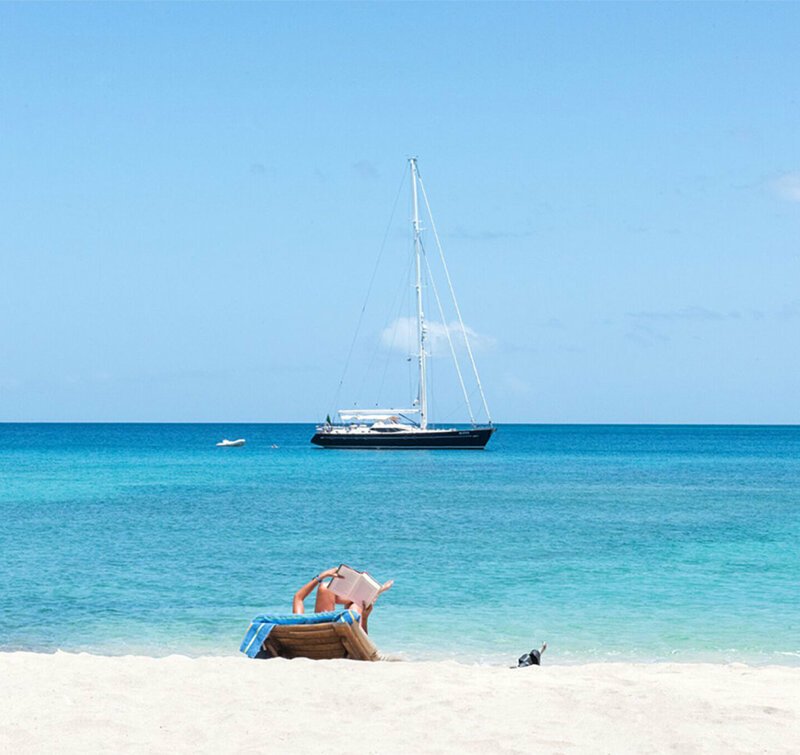 Take advantage of all the poolside and beach chairs, to catch some Caribbean sun, or read a book… or do nothing but drink in the sheer pleasure of a day well spent. [email protected] or call our office: 473-439-0001. If you are interested in spending the night or staying with us, check out our 20% Discount Special on all of our accommodations.